Green sukabumi stone tiles price direct supplier contact whatsapp +62 853 369 06433 (Ms Putri). If you are looking for a unique idea to remodel swimming pool, Green Sukabumi stone tiles will be the right option to choose. When remodeling swimming pool, changing its design will be the biggest scale of work. It means you need to hire professional designer and workers because there are several important things have to be considered and done perfectly. Location, design and the items have to be used for the tiles are several key things you need to considered. The Green Sukabumi Stone Tiles price is reasonable, which is why so many people love using the natural green stone for their swimming pool. All of us know that ceramic and porcelain are the most popular materials chosen by people for their swimming pool tiles. The price of those materials is quite cheap and the precise size makes them easier to apply. But, Green Sukabumi stone offers more. Maybe, the Green Sukabumi Stone Tiles price is little higher than ceramic or porcelain but as natural stone, it offers unique patterns which makes it so beautiful. Maybe, people love ceramic and porcelain because of its easy maintenance. Actually, the same thing can be gotten from the Green Sukabumi stone because the stone has been treated well before being installed, which makes it easier to clean, just like ceramic and porcelain. However, you need to set up your budget before deciding to use Green Sukabumi stone tiles for you swimming pool. It is not just about the Green Sukabumi Stone Tiles price, but also because it requires professional. If you need a perfect result, you need to hire specialist. Stone tile suppliers usually offer installation service that can be used by clients. But, you need to be aware with the cost of the service because usually they will charge you higher than usual. If you want to save your budget, you can try to find stone tile installation service by your own. It is not hard to do because many websites on the internet offers such thing. The patterns of Green Sukabumi Stone tiles are really gorgeous. The stone contains mineral called zeolite which makes it appears like a luxurious tile. Generally, Green Sukabumi stone tiles offer limitless patterns. You can even draw a picture under the swimming pool with it. Once again, you do not have to worry about the Green Sukabumi Stone tiles price because it is cheaper than if you use premium quality ceramic. The durability of Green Sukabumi Stone Tiles is good and it is easier to install than other types of stone tiles. You can place the natural stone in almost all areas, including in your patio, garden, backyard and of course your swimming pool. There are several sizes you can choose based on your need, from 10 X 10, 15 X 15 up to 20 X 20, just like regular ceramic and porcelain. Once again, green sukabumi stone tiles price is cheaper than your expectation. So, why you have to choose other tiles if this natural stone tile offers you everything you want for the swimming pool? 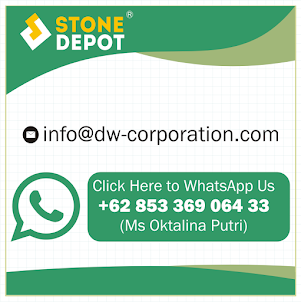 More info of bali green sukabumi stone price for swimming pool tiles please contact our email : info@dw-corporation.com (Ms Putri) or Whatsapp +62 85336 906 433.